Channel 4 News has apologised after their veteran snowflake presenter Jon Snow said he had “never seen so many white people in one place” during a pro-Brexit protest in London last week. 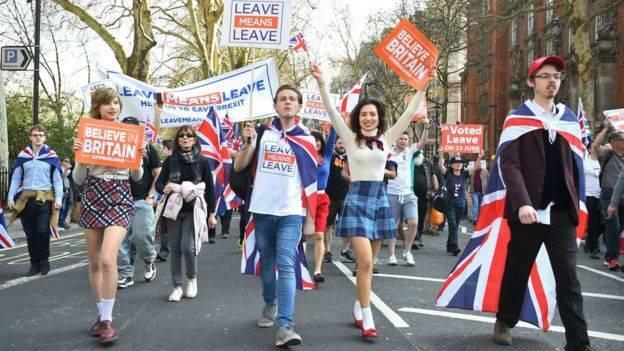 It came as Leave supporters brought Westminster to a standstill on the day the UK was expected to leave the EU. The remarks which were made as he was summing up the events in London during the day on the channel’s evening news attracted criticism from some viewers who described the comments about “white people” in what is still a predominantly white European country as unnecessary. 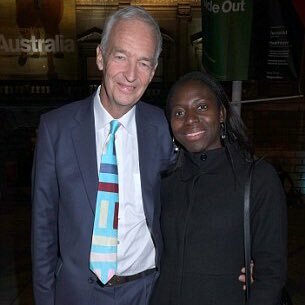 Jon Snow, 71, is married to an academic from Zimbabwe called Precious Lunga, who is 45 years of age, and has been accused of political bias in the past..
Snowflake Jon Snow and much younger Black African wife Precious Lunga. A spokesman for Ofcom, the body which regulates TV broadcasting in the UK, said it will assess any complaints “before deciding whether or not to investigate”. Just to prove this is not an April Fool’s story, here is Jon Snow in full self-hating action on Channel 4 News last week.